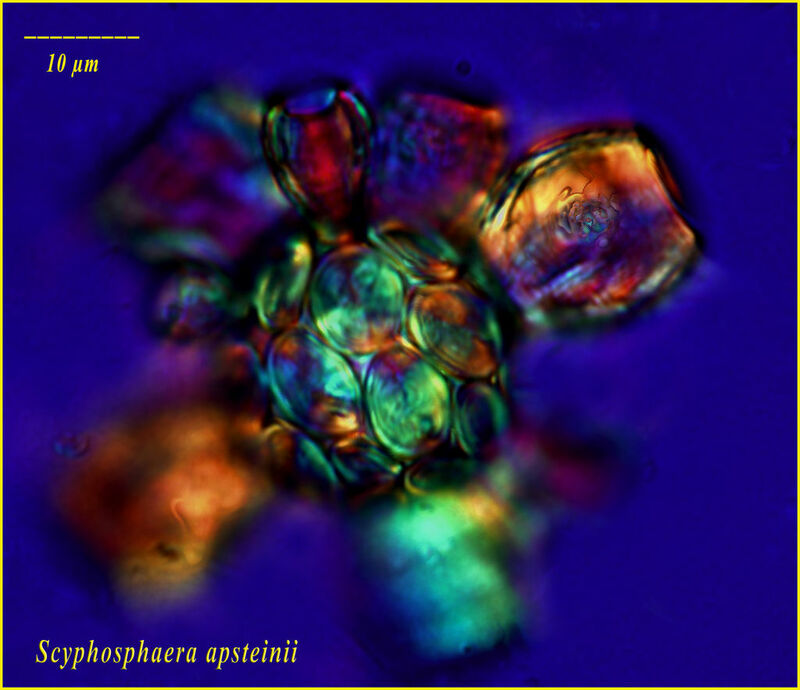 A coccolithophorid from the Ionean Sea. Coccolithophorids are plants and cover their cells with calcium carbonate plates. Lugol's-fixed specimen, DIC optics. In the gallery of Tintinnids, genus Codonellopsis, see a species that uses some of the coccoliths to cover its own shell.